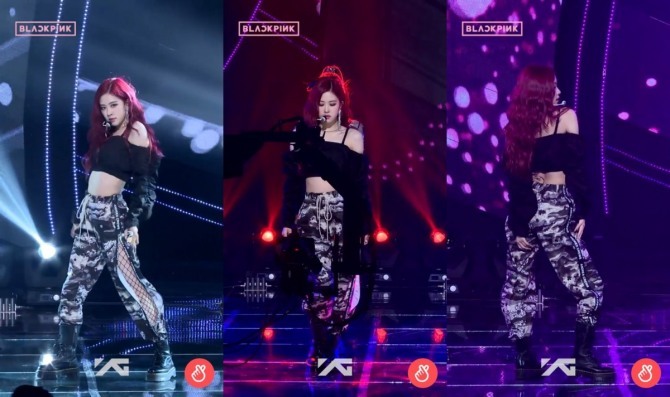 Black Pink uploaded four performance videos, each focusing exclusively on each of the four members on its V Live channel. Rose and Jennie’s videos were uploaded Tuesday at the same time, and the former’s boasts of more than 27 million views while the latter’s remains at 3 million in a day since its release. Jisoo’s video was uploaded at 9 a.m. Wednesday, and pulled in 1.4 million views in less than an hour. Lisa’s video was unveiled a week earlier, recording 8.5 million views as of Wednesday morning. Videos focused on individual members started trending in part due to the nature of most K-pop acts being multiple membered. The foursome’s “Ddu-Du Ddu-Du” fronts its first extended play “Square Up” released on June 15.